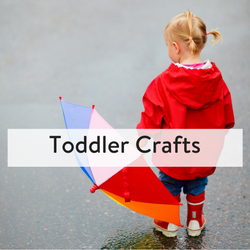 Looking for the perfect craft to do with your toddler this St. Patrick’s Day? 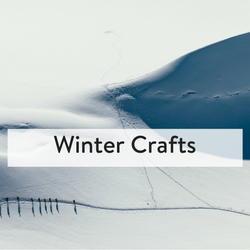 We’ve rounded up 14 of the best crafts and activities to keep ’em busy! 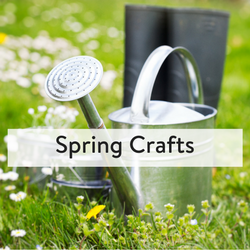 With so many delightful shamrock and rainbow crafts to choose from, there’s bound to be something here your preschooler will love. 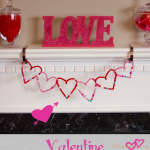 There’s even a sweet handprint craft to do with your wee baby! 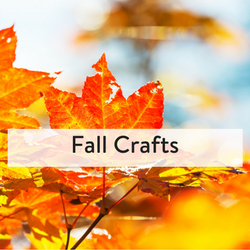 Once you’ve tried out some of these adorable crafts and activities, be sure to go hunting in the grass for a four-leaf clover. Make your very own Shamrock Puppy pal for the holidays. 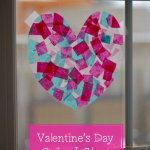 Grab an ink pad and get stamping with this easy Shamrock Thumbprint Craft. Hold on to your hat – your Rainbow Hat that is. 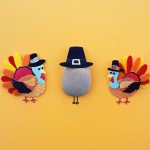 Even if you can’t find one in a wild, you can make this Four-Leaf Clover craft with ease. 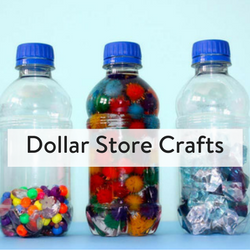 Spill your button box, because this Button Rainbow Craft is perfect for small fingers. 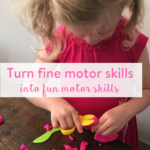 Break out the glue for this simple paper craft – Rainbow Preschool Craft. All hands on deck for this Leprechaun Man Handprint Craft. 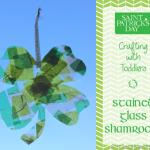 Stained Glass Shamrocks are a dollar store craft that’s easy and mess-free. Stringing your favourite festive green into this wonderful Paper Straw Necklace. If there’s anything better than Pot of Gold Play Dough, we haven’t found it yet. How to Make Green Slime – just in case you wanted to get messy. 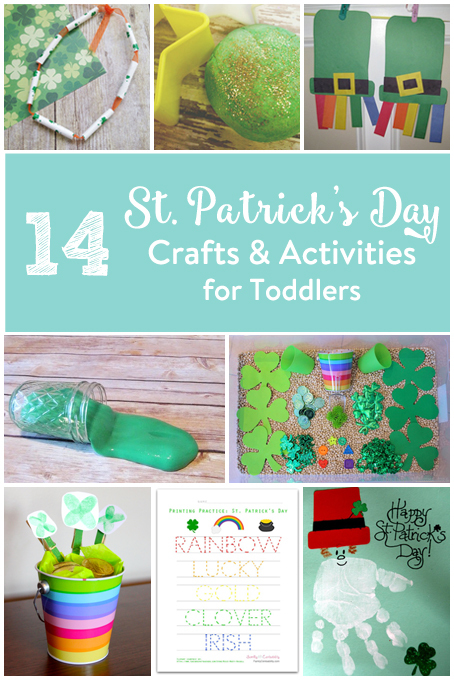 Two ways to make a St. Patricks Day Sensory Bin for curious little hands. Get your A-B-C on with Printing Practice for St. Patricks Day. Grab the bingo dabber for this free printable that turns into Shamrock Dot Art. Looking for some a yummy green drink? Try Dairy-Free Shamrock Shake.